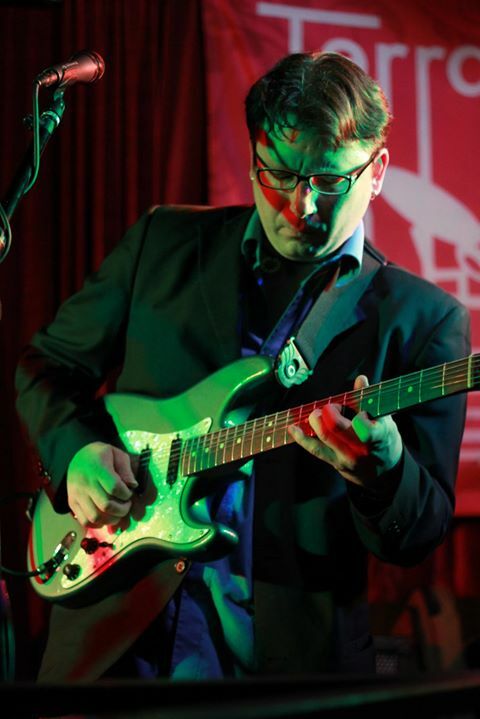 Eric Kurimski, is New York’s most sought after guitarist for Afro Peruvian music and a favorite at Terraza 7 Live Music. In 2002, after years of studying and performing Jazz, he began intense research of Afro Peruvian rhythms with the esteemed guitarist, the maestro Carlos Hayre (Carlos has influenced and modernized the advancement of Afro-Peruvian music from the 1940’s through the present day.) Carlos became Eric’s professor/ mentor and has proved to be very important to his musical career. Now, fusing his knowledge of Jazz with rhythms of Peru and Latin America, Eric has dedicated himself to defining a new sound integrating the Peruvian Cajon (box) as the principal percussion instrument in a Jazz setting. The spectacular playing and skillful blend of acoustic and electric tones bring authority to this brilliant co-mingling of (jazz and Afro Peruvian) traditions that are, after all, rooted in the same musical heritage. No Replies to "ERIC KURIMSKI QUARTET"